LAWRENCE, Kan. (BRAIN) — Forty-six miles of riding — a good dusty chunk of it on gravel roads — brought the BRAIN Dealer Tour crew to visit two shops Thursday. One store was less than two months old in a tiny town that happens to be along a popular cycling route. The other is 47 years old in a historic brick block in downtown Lawrence, the home of the University of Kansas. OVERLAND PARK, Kan. (BRAIN) — In 25 BRAIN Dealer Tours, it's rare we've toured four such different stores on the same day with such diverse approaches and personalities as we did on Wednesday as we pedaled around the Overland Park and Lenexa area, south of Kansas City, Kansas. OVERLAND PARK, Kan. (BRAIN) — BRAIN's first Dealer Tour of the Kansas City area got underway Tuesday as we pedaled to four shops, all south of the city itself, in Kansas and Missouri. In the evening, we drove up to the Velo Garage and Tap House in North Kansas City. OLATHE, Kan. (BRAIN) – BRAIN editors toured Garmin's U.S. headquarters, factory and warehouse in northeastern Kansas on Monday and got to mingle with members of the Garmin-sponsored EF Education First - Drapac P/B Cannondale team on the heels of last week's Tour of California. NEW YORK (BRAIN) — It’s been more than five years since the BRAIN Dealer Tour visited New York City, braving the Big Apple’s busy avenues and steaming July temperatures to visit more than a dozen shops. CHICAGO (BRAIN) — Unlike many of the other markets the BRAIN staff visited on our Dealer Tours, there's been no turnover among the Chicago-area retailers we visited in 2013. If you value stability and you like speaking with the same shop owner year after year, then Chicago is your market. PHOENIX (BRAIN) — The Valley of the Sun has weathered a lot of turmoil since Bicycle Retailer paid visit to a dozen shops back in 2010. Of the retailers the BRAIN Dealer Tour visited in February of that year, three have closed, two have moved, one expanded, one downsized and at least three are now operating under new owners. Flashback Friday: How has the Salt Lake City-area market changed since 2014? SALT LAKE CITY, Utah (BRAIN) — Bicycle Retailer's Dealer Tour visited Utah's capital in May of 2014. Since then, several shops we visited have added new locations, while one rebranded and another retailer remodeled and reopened three shops as Giant Partner Stores. Throwback Thursday: How has the Denver-area bike market changed since 2011? BOULDER, Colo. (BRAIN) — Stores have closed, sold, opened, remodeled and expanded since BRAIN's Dealer Tour of the Denver area in 2011. And we've all gotten a little older. BRAIN Dealer Tour: Is Palisade the next big MTB destination? PALISADE, Colo. (BRAIN) — BRAIN's Dealer Tour braved rain and even a bit of snow pedaling the small town of Palisade on Thursday. While Palisade is known now for its wineries and peaches, some local retailers are working to build a new trail that might put it on the map of major mountain bike destinations. GRAND JUNCTION, Colo. (BRAIN) — The BRAIN Dealer Tour is visting stores and suppliers here this week, pedaling between stops in glorious sun and cold rain. So far. 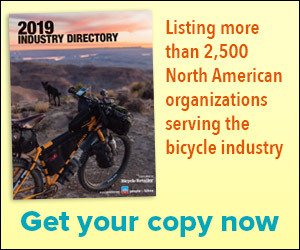 GRAND JUNCTION, Colo. (BRAIN) – Bicycle Retailer & Industry News staff is returning to Colorado, but this time editors and sponsors will visit shops in Grand Junction, Fruita and Palisade. Tour group also drops in at sponsor Hawley-Lambert for an update on the distributor’s recent operational changes. COLUMBIA, S.C. (BRAIN) — The final day of Bicycle Retailer's Carolinas Dealer Tour moved on to Columbia, South Carolina, on Wednesday, visiting two retailers and distributor Hawley-Lambert.